Line 3, Zhujiang New Town Station, Exit B. Walk toward the river about 200 meters and you will find the west gate of Opera House on your left. 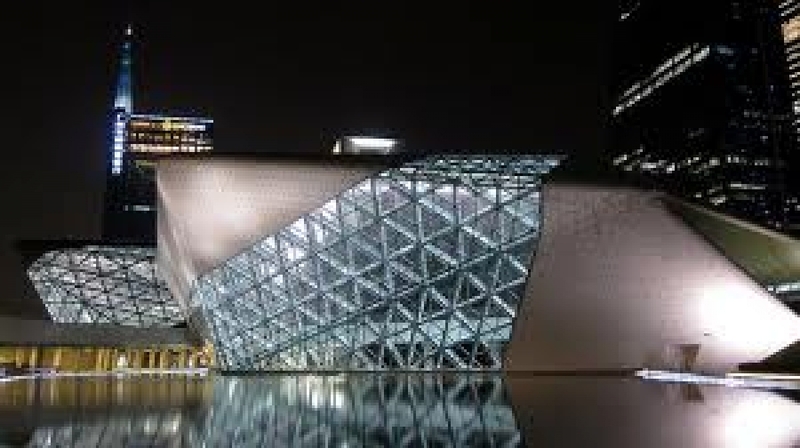 Designed by world-famous architect Zaha Hadid, and needing a full six years to build, the Guangzhou Opera House is set to become one of Guangzhou's New Seven Landmarks. 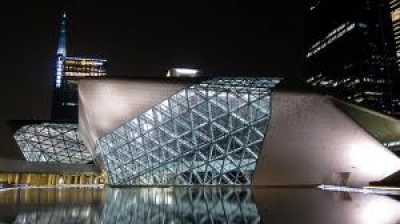 The theater looks like two glowing, oblong stones, sitting beside the Pearl River. The larger stone contains the main, 1,800-seat theater, art exhibition hall and recording studio. The smaller stone houses a multi-functional 400-seat theater, with rotating stage. Guangdong Opera House hosts a variety of performances, large and small, national and international. Depending on the month, the opera house holds between four and twelve shows, mostly Chinese opera, Chinese drama, concerts and modern dance.